﻿ Is online food ordering the next addiction? The overall food delivery business is more than USD 7 billion and online food ordering is 5-7 percent of this in year 2014-15. With concept of making fast food faster, the online food ordering has seen a considerable rise over the next two years. Market like Bengaluru, Pune, Delhi-NCR and Chennai has received a larger penetration of food via online vehicles. Be it Foodapand, JustEat or the regional players like TinyOwl, Go Grab and TapCibo, the industry has seen over 40 per cent growth in last two years. 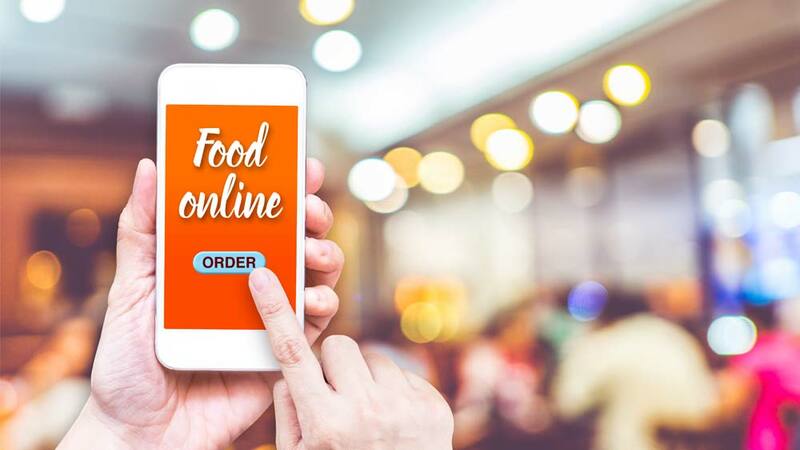 The online food segment is driven by various factors including greater awareness about the ongoing trend, higher disposable income along with deeper internet penetration, availability of more payment options, long working hours and erratic lifestyle are contributing online food ordering business. Meanwhile, as people are becoming more and more health conscious, healthy and organic eating, more appetite for home cooked food and dishes that are easy on pockets are lending a credible support to the growth of online food business in the country. Players like Foodpanda, JustEat and TastyKhana have placed themselves right as a national player in the online food market. Meanwhile, local and regional players like TapCibo, Go Grab, Dine In, TinyOwl are creating a unique convenience food consumption in south and west market. According to experts, for any product to sell or do well visibility is very important phenomenon and these players have spotted it right by targeting their customers. “We use a number of channels like, social media including Facebook, Twitter, Instagram; mobile marketing, e-mailers and sms' so that our customers are aware of what our brand offers. Recently, Food Panda has produced a series of TVC's making customers aware of the services it offers. We have entered a period where getting a good discount makes us very happy. When we know we are getting some of the best things we like at minimal rates, it’s a bargain we are ready to pay. We design our campaigns in such a way that we know our customers can get a good deal for the money they pay. Apart from getting trinkets (where 1 trinket = 1 Rupee), we also offer them good discounts and instant cash back offers via our affiliate partners like PayUMoney, PayTM or Mobikwik., shares Shachin Bharadwaj, CEO and Founder, TastyKhana.in. Even today when only ordering is picking up in the food industry, people still prefer to feel and experience when they choose to eat at a restaurant. However, these portals have some of the well known restaurant listed with them but then this doesn’t suffice the requirement of the hungry Indian foodies. “We can safely say that we have some of the most luxurious restaurants listed on our network. Be it Malaka Spice, Pind Baluchi, Mainand China, or Punjab Grill. We also have some of the most loved restaurants in India like Domino's Pizza, Baskin Robbins, Copper Chimney, Cafe Mangi and Bombay Blue, among others. We consciously try to get the best restaurants in India on our network so that foodies may have the full dining experience, luxurious or otherwise and order from their favourite restaurant,” adds Bharadwaj. However, according to restaurateurs, it is not only the food that brings a person to a restaurant but it is over all experience, including music, ambience, service and quality of the food taht contributes to a luxury eating. And hence online in India is still at a very nascent stage. As so far love for food is concerned, it is universal. However, online food ordering comes with a promise of instant delivery. FMCG sector to grow at 10 per cent in 2015: Report..